Garmin Approach G7 Golf Course GPS marked the beginning of an era. It is the first golf GPS to show slope-adjusted distances. If you can keep up with wired updates, the Garmin G7 golf GPS is the brightest, most effective golf training tool. Garmin Approach G7 golf GPS is a handheld miracle that bridged the only gap between the performance of golf GPS and laser rangefinders. It is slightly smaller than the big brother Garmin G8. Transflective color touchscreen of 160x240 resolution. It weighs a meager 3.37 ounce, much less than a laser device. It is IPX7-rated waterproof, so it can be dunked in up to 1m water for up to 30 mins continuously without damage. If you are caught in a sudden downpour, that will give you time to run and take cover. That’s what Garmin calls the slope-oriented distance. If the target is uphill or downhill, the G7 gives you distance counting in this elevation. This is given along with the regular yardage. Of course, this questions its usability in golf tournaments. As long as Local Rule, applies and you switch off the PlaysLike distances, Garmin claims you can use the G7 in tournaments. But we would confirm this from the tournament committee if we were you. 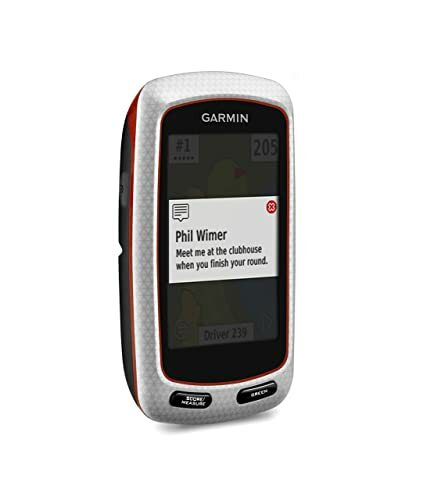 Garmin Approach G7 tracks the distances you hit with each club in the past. Based on average club distances, it makes a club recommendations for the upcoming shots. However, Club Advice is again, a prohibited feature. So you will have to turn it off during a tournament and ask the tournament committee for advice on G7’s usability. A very useful and interesting feature which makes an appearance in Garmin G7 as well is the Big Numbers mode. If you sometimes have to strain your eyes to read distances on the touchscreen, you can switch to this mode. It will give you the center, front and back yardages to the greens in a text-only form. The numbers are very easy to read in this view. The G7 can maintain the scores for you and up to 3 other players at a time. Basic metrics like putts, fairway hits, Greens In Regulations etc. are also maintained. Round performance can be either viewed on the device or on a connected phone/PC. Scores and statistics functionality in the golf watches can be more of a formality than really useful features. The accuracy of yardages to the center, front, and back of the greens is similar to most other golf GPS devices. You can touch any point on the map and get the distance, hazards, doglegs, layup arcs etc. Being a handheld device itself, the Garmin Approach G7 channels the notifications from your phone so that you don’t have to carry both on your person. You are wondering why you should opt for the Garmin G7 when the G8 and G30 have debuted in full glory? Because the G8 costs a whole lot more for two features, one of which is again barred in the tournaments. The PinPointer, which gives you the direction of the pin while taking a blind shot is not available on G7. Good riddance, because it is not legal in tournaments. Another is the Wi-Fi connectivity. G8 allows course updates over the Wi-Fi connection. If you like Wi-Fi connectivity, choose G8 over the G7. The setup is fairly easy. You need to enter the estimated club distances of at least 3 clubs at the beginning. The G7 will infer the rest if you choose. Once you set it up, you can go over to the Garmin site and update your course maps. This will be done in less than 30 mins. Most of the operation is through the touchscreen. This screen is quite sensitive and almost as responsive as the smartphones. Garmin claims a battery life of 15 hours per charge of the G7 GPS. You can set off shot measurement with the press of a button. The shot distances can be used to assign club averages. This will help it recommend the clubs for your next shot. The Garmin Connect online platform allows you to save and share your scores and statistics online. The metrics can be presented in a more formatted way, but at least you have metrics here. Garmin Approach G7 stocks up on about 38,000 pre-loaded courses. This is pretty comprehensive in terms of world coverage. But some maps have some key elements missing like number of trees on the fairway etc..
Is it Tournament Legal ? Is the Play Like feature, slope adjusted ? Yes, G7 is the first golf GPS device to offer the feature that adjusts the shot distances based on uphill and downhill shots. How waterproof is the Garmin G7 device ? How to download the lastest golf course mapping ? 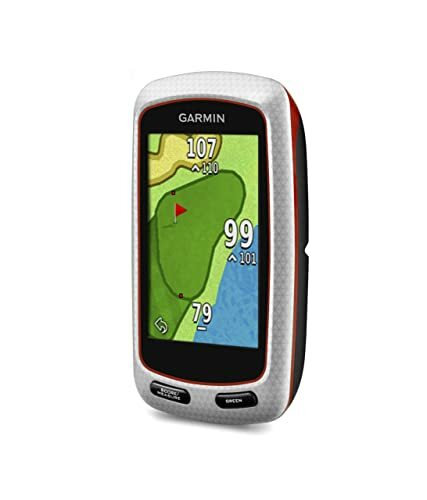 Garmin Approach G7 has an inbuilt golf course mapping called CouseView, which has more than 30,000 golf courses worldwide. And a new update is released by Garmin every 3 months. After you connect the Garmin Approach G7 GPS device to your computer, download Garmin Express and launch it. Then follow the onscreen instructions to update the software. Later eject it and use the updated device. The Garmin Approach G7 golf GPS device is one of the smartest gadgets in the market today, perfectly juggling price, features and usability. It is a tailored down version of the renowned G8, cutting down on the luxury features only. Its highly agile touchscreen eases down the usage. Its yardages, scoring and metrics are elaborate if not completely comprehensive. There’s work to be done in the areas of scorecard and course maps, but we are just nitpicking here. 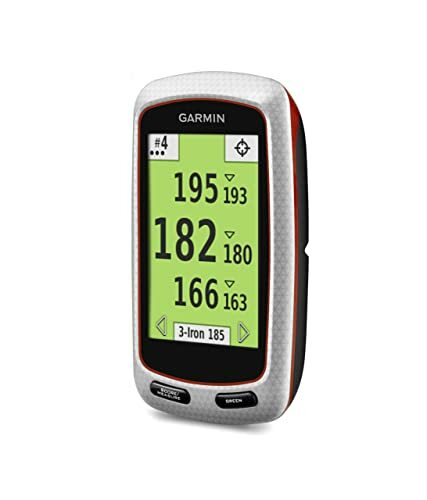 Hope this buying guide about Garmin Approach G7 Golf Course GPS Reviews is userful. I like the small, compact size that still includes clear images and distances. Battery use fluctuates for each use. GPS signal not picked up quickly enough when starting at other than Hole #1.. Plays Like is great feature.